Teaching for boys initially focused on reading and writing, while for girls the emphasis was on sewing and spinning. The Church’s influence on the school was particularly telling given that until 1758, when spelling books were introduced, only Bible and prayer books were used by children. 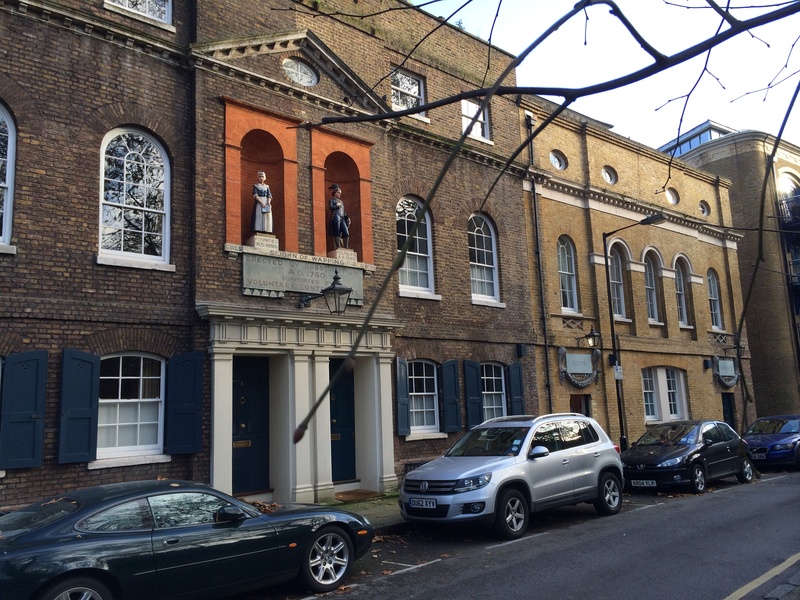 But Archbishop Tenison was just one of many establishments that sprung up in the 18th century as part of the Charity Schools Movement, which had emerged from the 1690s. 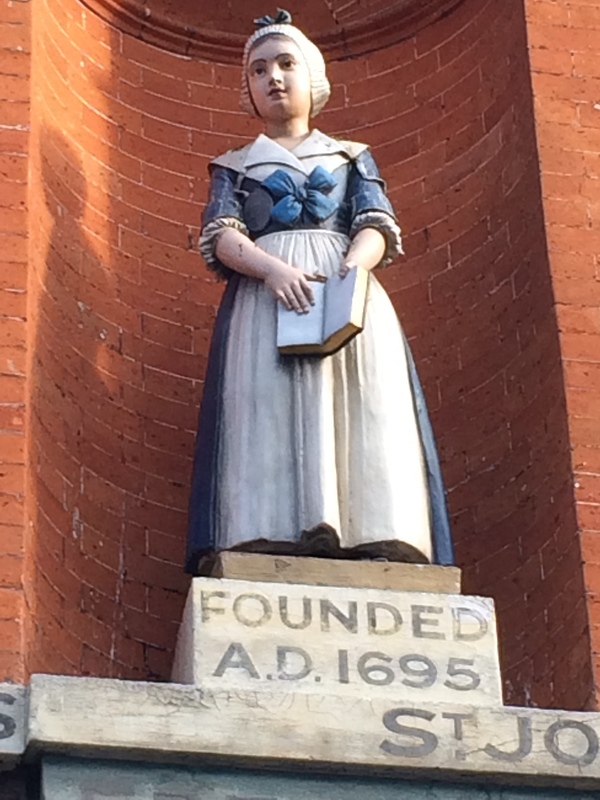 The campaign was driven forward by the Society for Promoting Christian Knowledge (SPCK) following its foundation in 1699 and provided the only real educational provision for poor children until the Sunday school movement in 1785. At a time of rapid urbanisation resulting in many children growing up in destitution, SPCK believed that providing education would prevent ignorance, vice and debauchery. Founded in London by clergy and laymen, it helped local parish groups set up schools through giving advice to teachers on good educational practice and providing financial support. Funded by subscriptions and bequests from parishioners, the Movement grew rapidly and by the end of the 18th century there were 179 schools, providing education for some 7,000 children in the metropolis. Clergymen organised annual parades and services to honour schools’ benefactors and pupils were reminded “that whatever Attainments they gain there, are all the Effects of Charity,” for which they should were to be “thankful to God and grateful to their benefactors.” And they wore badges or uniforms to distinguish them from their peers. Many schools continue to pay thanks to their founders by holding annual parades through local neighbourhoods. As we’ve seen at Archbishop Tenison school in Croydon, aside from studying religious texts the focus was on the teaching of practical skills that would help pupils in later life. And it seems the education provided did seem to pay off. Over the course of the 18th century some 20,000 boys from charity schools in London found apprenticeships, around the same number were put to service, while others found employment at sea. Girls, while not educated in the same high numbers, also found positions in service and apprenticeships. And some were cynical of the characters that charity schools produced. In William Hogarth’s Four Stages of Cruelty the villain, Tom Nero, is depicted wearing the cap and badge of St Giles Charity School – an establishment lost somewhere in and around where the Central Saint Giles development can be found today. At the heart of the Charity Schools Movement and SPCK was the doctrine of the Church of England, but in the early years there was said to be a degree of cooperation with non-conformists. But by about 1715 things began to changed and those that weren’t part of the established church opened there own schools in greater numbers. Indeed, one of the key objectives of SPCK was to prevent the influence of other denominations, including Baptists, Quakers and Presbyterians, which had become more popular following the Civil War of 1651. Today, traces of schools founded in the 18th and 19th centuries through a range of charitable means can be discovered across London. 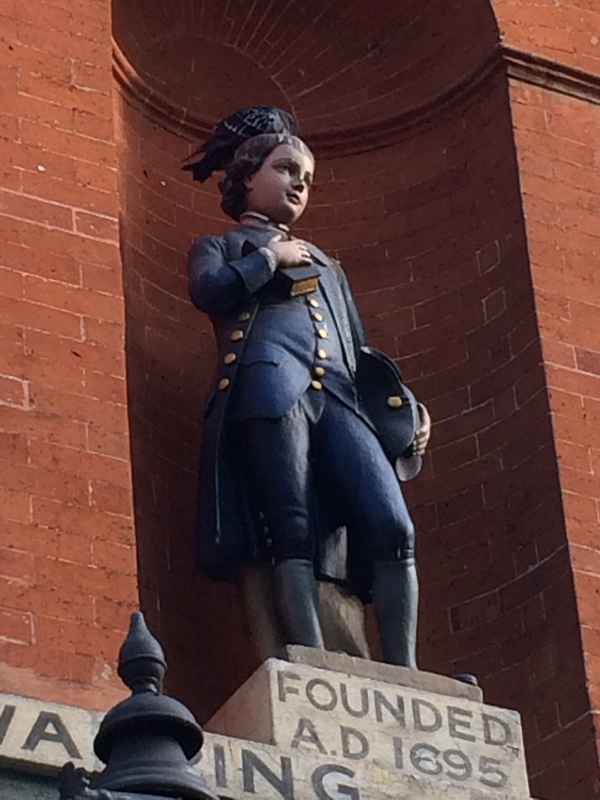 Even when buildings have been re-developed figurines depicting the original uniforms worn by pupils as a way of honouring their founders. 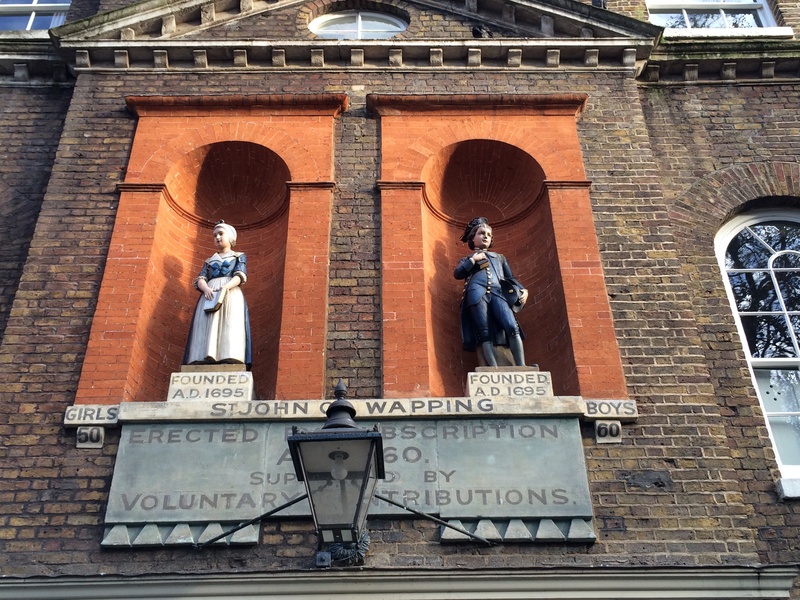 St John’s School in Wapping was founded in 1695 and on the front of the building that remains today (constructed in 1756) are the statues of two pupils depicted in their uniforms. Although no longer a school, the separate entrances for boys and girls can both be clearly seen. Back in Croydon, Archbishop Tenison is still going strong with some 800 pupils. Head teacher Richard Parrish told the Croydon Advertiser: “I think it is wonderful that the Archbishop of Canterbury chose in 1714 to found a school in Croydon. It all helps to put Croydon on the map.” And while SPCK may no longer be help to open new schools it is going strong as an organisation, with a particular emphasis on Christian publishing and has distributed some 30 million books since its foundation.